FeaturesHave a 13,500 BTU AC unit that you need to start and run? Want to provide backup power to a home furnace or fridge? With the Honda EU3000is, a simple turn-of the ignition key is all you need to provide clean, quiet power. ..
Have a 13,500 BTU AC unit that you need to start and run? Want to provide backup power to a home furnace or fridge? 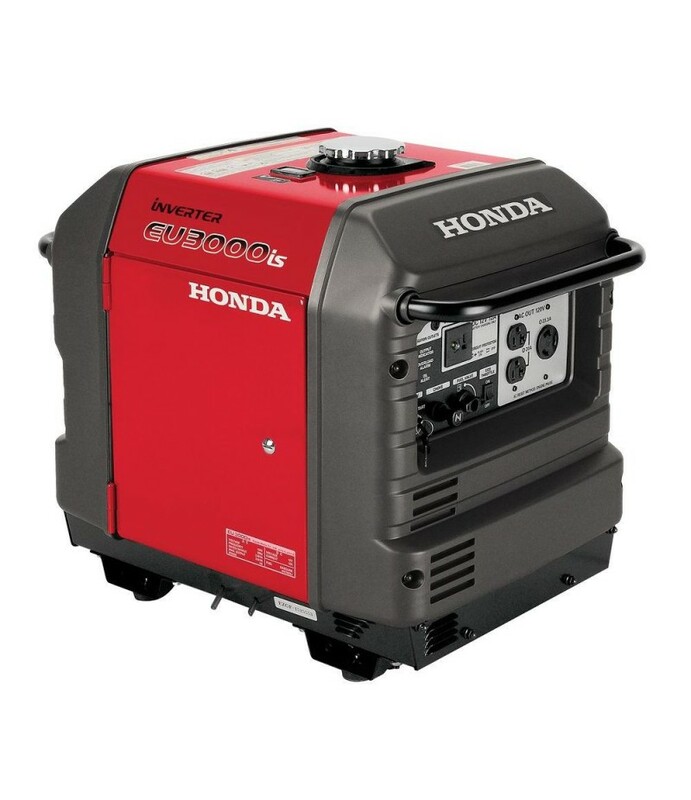 With the Honda EU3000is, a simple turn-of the ignition key is all you need to provide clean, quiet power. You’ll be thanking yourself and keeping some money in your pocket when it comes times to fuel-up. Getting up to 20 hours of runtime on a single-tank of fuel is something that other generator owners will be envious of. Need more power? The EU3000is can be paralleled with another EU3000is to provide even more juice. You don’t have to be an RV owner to love this inverter.